“Stories of Valour”. 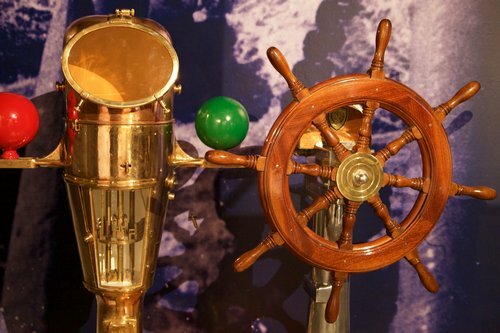 An innovative exhibition of FHW, at the «Hellenic Cosmos» Cultural Centre with precious exhibits from the Greek Navy. 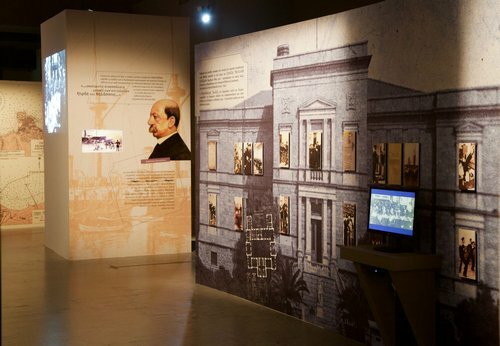 The “Stories of Valour” presents another approach to the history of the Greek Navy, as it evolves from the years of the Revolution of 1821 to the present day. 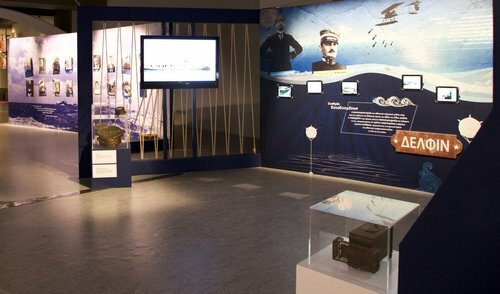 In the wreck of a ship, which composes the exhibition scene, develops all the major episodes of the route of the Navy, through unknown small stories. Selected objects, never exposed before, are presented together with photographs, audio and video documents, so that visitors can participate with all their senses, understand, be moved and reflect. 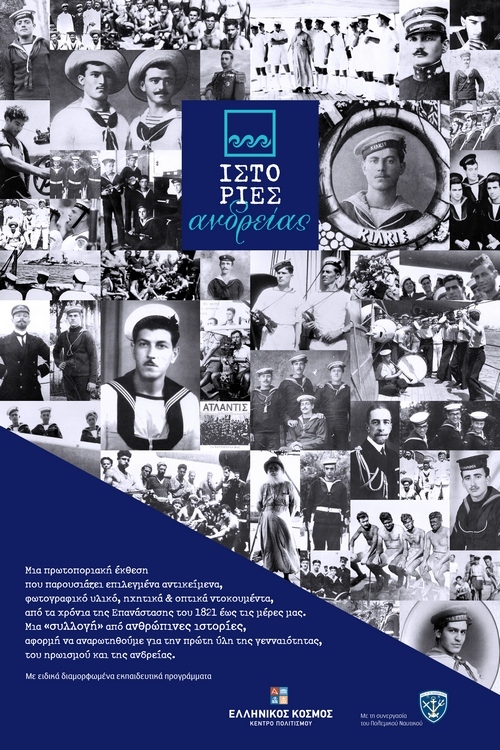 The new exhibition, an FHW production, at the Cultural Centre "Hellenic Cosmos" from February 16, 2016. The entrance of the exhibition starts from the stern of the ship. 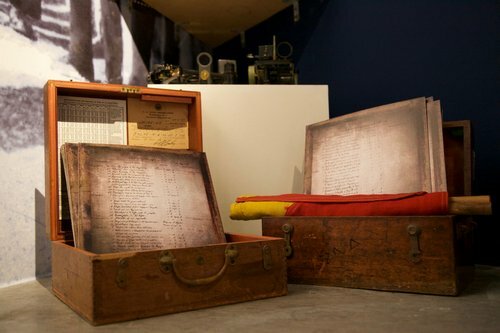 A ship with valuable items, testimonials, photographs and documents that tell stories of men, whether they are ordinary sailors, officers, or known captains. Guests are invited, on a journey through time with fellow pilots and all the people who wrote in one way or another history and created what is deeply human and deeply true, that make us proud. 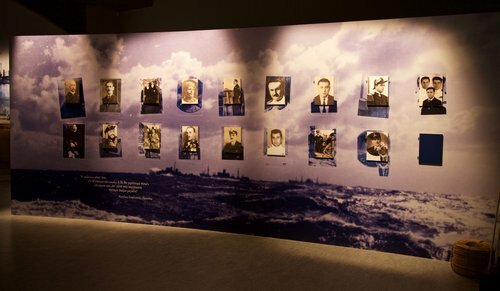 From the injured sailors of the Battleship Averof who refused to abandon their ship to the Admiral Kountourioti, who avoided the trap of the enemy and disobeyed the government's mandate for tracking Turkish Ottoman cruiser Hamidiye, guests will witness a collection of personal stories, stories of valour, courage and selflessness. The precious original exhibits and the spectacular scenery of the exhibition, complemented by the use of interactive exhibits, help the public to join in the highly charged and emotional climate of the exhibition. Thanks to the stories of these men the public enters the process to wonder what is the raw material of bravery, heroism and valour and try to search not only yesterday, but also today, not only to "big fearless men" but each one of us, regardless of gender, nationality, religion and age. They raise questions such as those raised by Socrates in the Platonic dialogue "Laches. About Courage". The public will attempt to find out what are the elements that can instil heroism in each one of us. Could it be the education? What is the training received by officers of the Navy? What problems can result from the lack of it? The advanced technology ensures bravery? This section discusses some advanced technological means that at times had the Navy and how they are utilized in the hands of men. Meanwhile cases are mentioned where advanced technology prooved ineffective. And finally, cases where the men managed to overcome the fact that the equipment they had was outdated and in poor condition. "I will not abandon the ship!" Brave is he who does not abandon his position? In this section of the report are presented examples of men who remained in place, even when conditions would justify the withdrawal or surrender, highlighting the striking and yet moving connection of the crew on the ship. The valiant never do "mutiny"? Referring to the many cases of "rebellion", where Navy crews ignored the orders of their superiors, either to act differently to the enemy, or to intervene decisively in the political affairs of the country. "When I am not afraid in front of the risk", is this courage? Stories where Navy men exhibited reckless positions ... either successfully or not! Prudent evaluation of conditions: This is also a form of heroism? In comparison with the cases presented in the previous section, cases will be presented here where the decisions of Navy personel lack the impressive features of the previous section, but nevertheless are a balanced expression of all the above elements. 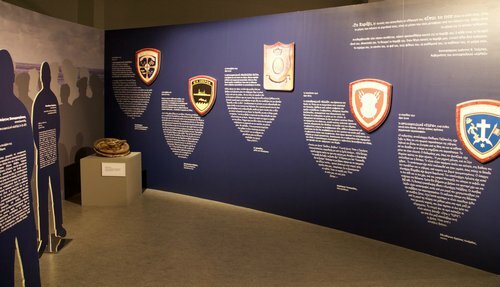 The "Stories of Valour" is an exhibition that aims to travel visitors to "space" and "time", recounting stories of different people. The new exhibition, by FHW, at the Cultural Centre "Hellenic Cosmos" from February 16, 2016. Curator of the exhibition is the museologist Nasia Hourmouziadis.